“You have to stay here forever, to protect us,” the Yezidi man explained to me. It was June, 2003 and I was on Sinjar Mountain in Ninawa Province, Iraq. He was telling me that his people, ethnic Kurds who are not Muslim, feared for their future. “We're here so that you can have a democracy,” I tried to explain, “and so you can have freedom. You can participate in the new government under a democracy. And then we're going to leave.” He looked at me like I was a trifle dense and insisted that would never work. The mountains were beautiful, and the Yezidis loved us, bringing us food and tea, sitting and talking for hours. They had been poorly treated for generations, but now had free access to their shrine while we manned a remote outpost practically on top of it. I had been part of the initial invasion of Iraq, and everyone who was willing to talk to me during the early months wanted me to know how much they had suffered under the Ba'ath regime. This time on Sinjar Mountain extended my experience of getting to personally know Iraqis who longed for a better future. A few months later, in October, my husband Brian was grievously wounded in a serious, coordinated attack outside Mosul. Soon thereafter my team moved to Mosul for my last few months in Iraq, and I watched as the city turned angrier, tenser. Troops came to call it “Man on the Moon Syndrome”: America had put a man on the moon, the Iraqis pointed out — surely its inability to enforce security and restore basic services was due to willful refusal. When we had driven up north in the spring of 2003, it had been during the day, and I'd waved at kids as we drove by. In January 2004 when we drove south, it was at night, in blackout drive. The hope of the early months of the invasion had faded and what came to be known as the insurgency was taking root. I left the Army in 2005 and moved to DC to help Brian recover at Walter Reed. We visited the National Archives one day, and the document that made the biggest impression on me was the Articles of Confederation. It had been years since I'd taken a history class, and this bit of our national heritage had slipped my mind. Much of the narrative about the Iraqi effort to draft and approve a constitution seemed to imply that they should hurry up, get it together — as if they were somehow deficient for not being able to immediately decide how they wanted to run their country. Here was the record of America's own difficulties meeting that challenge. Eventually I got a job translating Arabic documents for the government. On August 14th, 2007, a news story caught my ear as I was getting a snack: four suicide bombers, likely from Al Qaeda in Iraq, had coordinated to attack Yezidi towns, killing hundreds. I stood staring at the television in the break room at work, fighting back tears, wondering if the girl who gave me a necklace to protect me was among the dead, or the man who brought me turkey eggs, or the boy who incongruously wore a cowboy hat. The man I had assured of a better future under a democracy, was he among the dead? I felt nauseated, exhausted, helpless. The final death toll from the attacks was estimated at nearly 800 dead and over 1,500 wounded — the second deadliest act of terrorism in history, second only to 9/11. 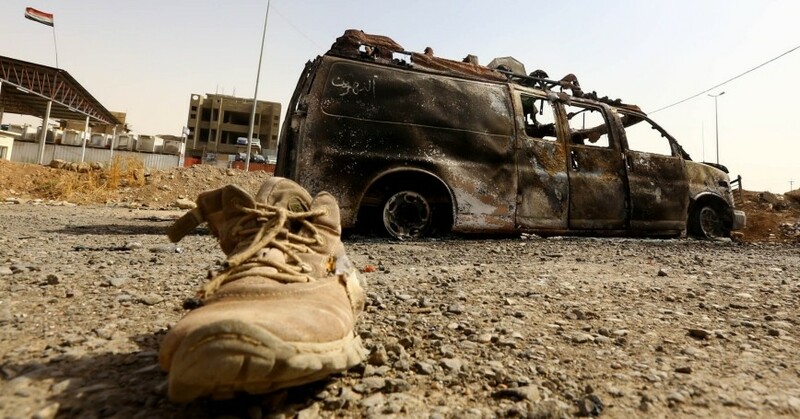 And now, 11 years after the Yezidis assured me that they would not fare well if the United States left Iraq, Mosul, along with other cities, has fallen. Over half a million people died in the American Civil War, another bloody chapter in our own long struggle to decide what kind of country America would be, what type of government it would have. Other chapters many Americans would sometimes prefer to forget include slavery, the Trail of Tears, and Japanese-American internment camps. Despite my firm belief that liberal democracy is the best system of government, America's own history clearly demonstrates that the path to it can be long and painful. I hoped the Iraqis would have an easier time navigating it than the United States did. To my deep sorrow, it appears I was wrong, and the Yezidi man was right. Williams is a project associate at the nonprofit, nonpartisan RAND Corporation, a Truman National Security Project Fellow, and the author of Plenty of Time When We Get Home: Love and Recovery in the Aftermath of War. This commentary originally appeared on The Hill on June 19, 2014. Commentary gives RAND researchers a platform to convey insights based on their professional expertise and often on their peer-reviewed research and analysis.